Held in September of each year, Brewer Days has become an event that the entire community looks forward to. 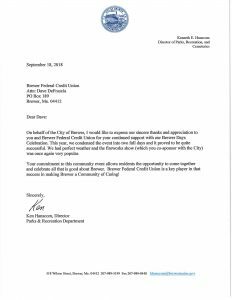 Brewer Federal Credit Union, a long time supporter of the event, is pleased to be part of something that brings community members together. 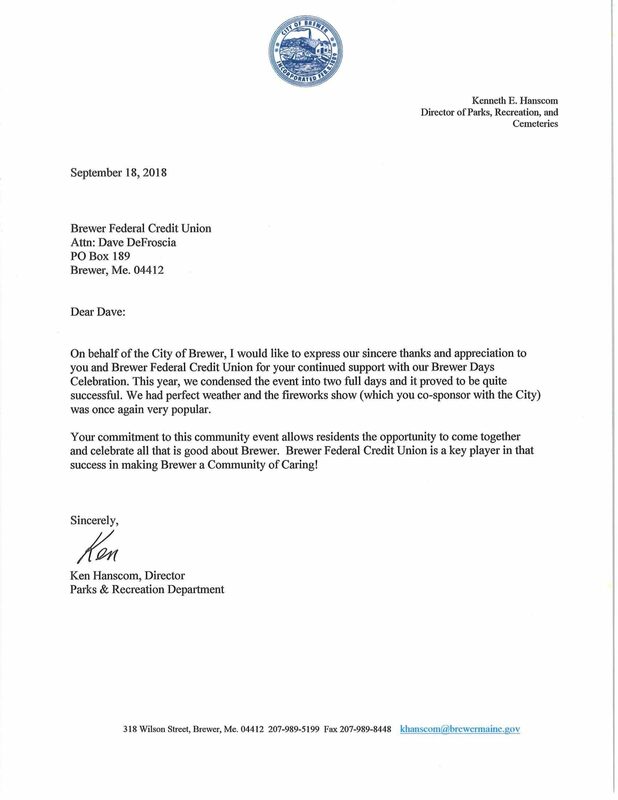 Congratulations once again to the Brewer Days Planning Committee for their outstanding job in making this event memorable.